Here we are. Day 365 of 365. The final day of 2015, and the final official day of The Road to Final Fantasy XV in 2015. 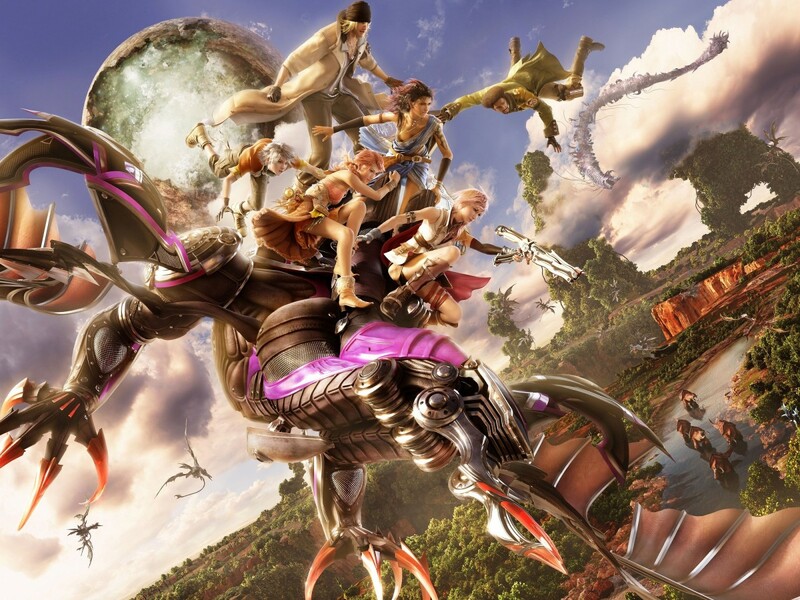 What further thoughts have I got for Final Fantasy XIII? How did I fare with the marathon overall? What’s going to happen next? Find out the answers to these questions and more by reading on. Before I get too far ahead of myself, let’s talk more about Final Fantasy XIII. Though I made some pretty excellent progress during the days leading up to the year’s end, I just wasn’t able to wrap it up completely. I am currently saved a little ways into chapter 13. Those of you familiar with FFXIII will know that this is the final chapter of the game, so it’s really kind of disappointing that I wasn’t able to finish it before the end of the year. However, I take a great amount of comfort in the fact that these final two days of 2015 have been spent out of town with family and without my games, so I know that if we had stayed in town I would have been able to complete it for sure. In fact I still fully intend on wrapping it up when I’m back home later this week; I just didn’t quite meet my December 31 deadline. On the topic of the game itself, Final Fantasy XIII continues to be a great big mixed bag of uncertainty. The clock is ticking for our L’cie-branded heroes, and the levels of anxiety and frustration in all of them has continued to raise as they look to face the incredibly bland and uninteresting baddie Barthandelus for their final encounter, and take him down once and for all. 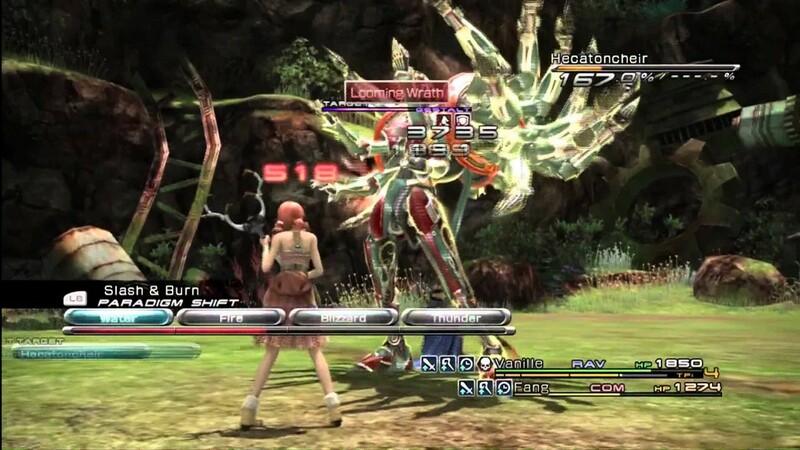 During moments of particularly high anxiety, each main character has been confronted by an Eidolon to overpower and claim as their own. The only problem here is the inconsistency in the importance of the moments in which the Eidolons appear. For instance, the first three to encounter their Eidolons – Snow, Lightning, and Sazh – had their battles during pivotal moments of stress and personal growth, and they came away from the fights with a new sense of purpose, hope, and/or ambition to keep fighting. Meanwhile the others – Hope, Fang, and Vanille – all felt incredibly shoehorned in. The first three happened gradually over the first 8 chapters, when the moment was just right, then the last three happened within a span of two hours between chapters 10 and 11. The drama that they each experienced felt half-hearted and lazy; this was especially true of Hope, whose prime moment already passed during his rage toward Snow. The moments with the latter three were not nearly as emotional or thrilling of moments as the first three, and the resulting consequences felt underwhelming. Additionally, I didn’t spend any money, nor upgrade any piece of equipment, not enter any shop at all until the very end of chapter 12, while having difficulty taking down the Proudclad (part 2). It’s bizarre to not have to purchase and spells or abilities, or even grab new weapons. I found plenty of new weapons over the course of the game, but nearly all of them were weaker than the base weapons my party started with. It honestly made no sense. I mean, you barely acquire any money throughout the game anyway, so it’s good that you don’t need to do much shopping, but it still feels like such an odd deviation for the series. I’ve praised Final Fantasy XIII previously for chucking old Final Fantasy conventions out the window in favor of trying new things, and I most certainly stand by that. Still, the complete lack of necessity for Gil really felt weird to me. On the plus side to everything, once the entire team of six was together and began traveling as a proper party, there are many really nice moments of interactions between them. And unlike Final Fantasy XII, the moments aren’t always inclusive of the entire party. Like, I’d enter a new area of Gran Pulse, and Vanille and Hope would share a moment together, bringing things full circle from the beginning of the game. Another time, Lightning and Snow had a little heart-to-heart (or, as much of one as Lightning is capable of having), and they finally came to a mutual understanding of each other. 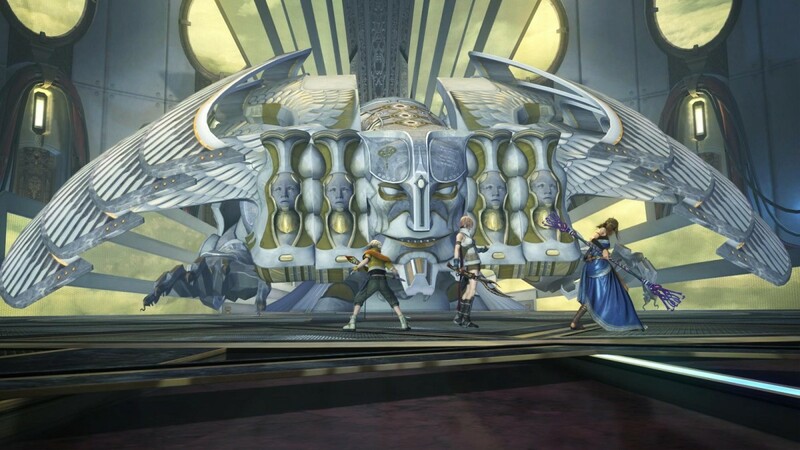 FFXIII really does a nice job of bringing the team together as a unit, and as various pairings. Full marks for that. Since I’ve touched on all of this now, hopefully once I wrap up the final chapter I will be able to just summarize my final thoughts and compose one final game’s wrap-up stats before the epilogue. Moving on to the future, I recently acquired Final Fantasy XIV in a Square Enix Humble Bundle, and with it a free month-long trial subscription. I fully intend on using that time in 2016 before Final Fantasy XV releases, but for right now I’m just going to wrap up FFXIII and spend some time playing, I don’t know, something else. I do think I’ve earned myself a wee break from Final Fantasy, thank you very much. When I do get around to playing Final Fantasy XIV I will be sure to get back to the live tweeting, and the #RoadtoXVin15 hashtag will absolutely return, and if I’m feeling ambitious I may even write up my thoughts on it once the month has ended. For now, I’ll just focus on completing FFXIII. I will be tweeting the final chapter as I play it later this week, so for one final time, feel free to follow me on Twitter and watch that hashtag, and check back in January 2016 for my final thoughts on The Road to Final Fantasy XV in 2015.